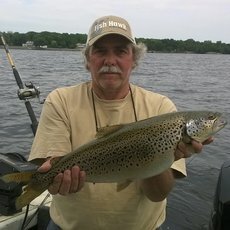 Check and share here for the latest fishing reports. I checked the launch at Ocean City inlet this morning... All clear. No traffic on the water, and plenty of free parking. Maybe a late striper, tautog, and with a long run a sailfish, and sharks? Might be worth a run? Doubt flonder this time of year! Better get some advice from the Admiral. 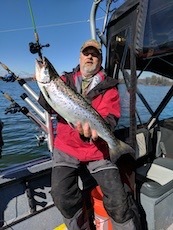 I've heard Randy recount pushing a 12 footer across the ice, beyond the breakwater at Burlington and then catching salmon. Pictures Randy? Hoping a good solid south/west wind may break up converse..?? 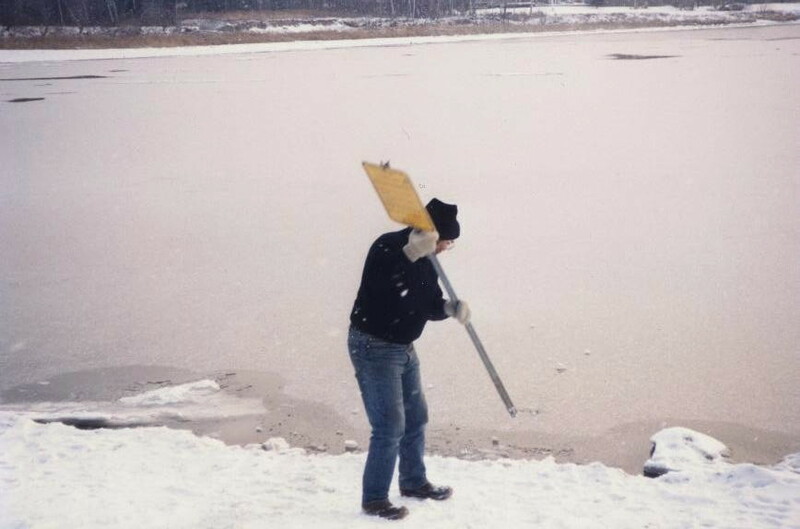 Herb & I used to go to extremes to get to or make open water. Herb and I dragged his 14 ft tiller steer over the snow and across the bike path in Burlington. Dropped in on the North side of the sewer plant over the ice and in. Even brought Ben the Black lab. Fished in front of Blodgett's and caught a bunch of Browns on flyrods. Had a 300 ft rope that we hooked to the bow and the back of the truck to haul it back up over the bank, across the bike path. Lots of folks looking on. Boated a fish with a lamprey that dropped off in the bottom of the boat. 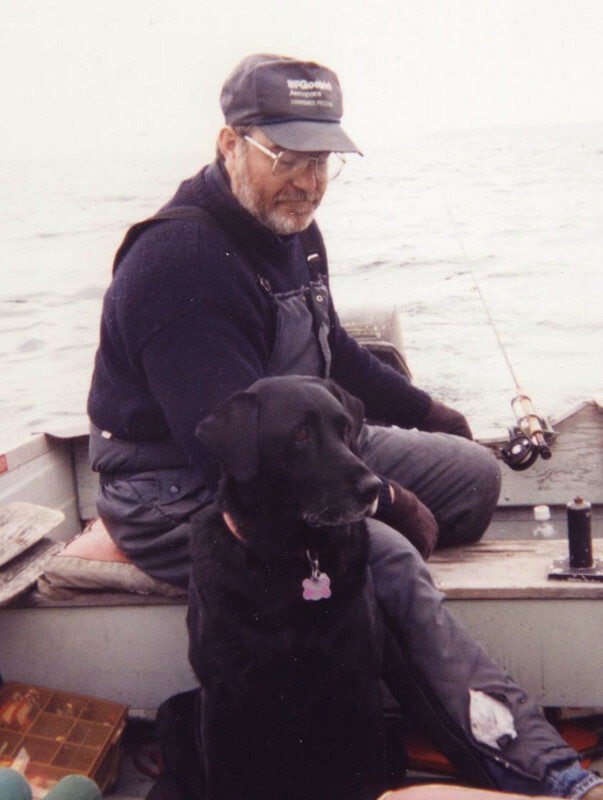 By the time I released the fish and got the rod back out I went to look for the Lamprey Ben the Lab was licking his chops as he ate it. 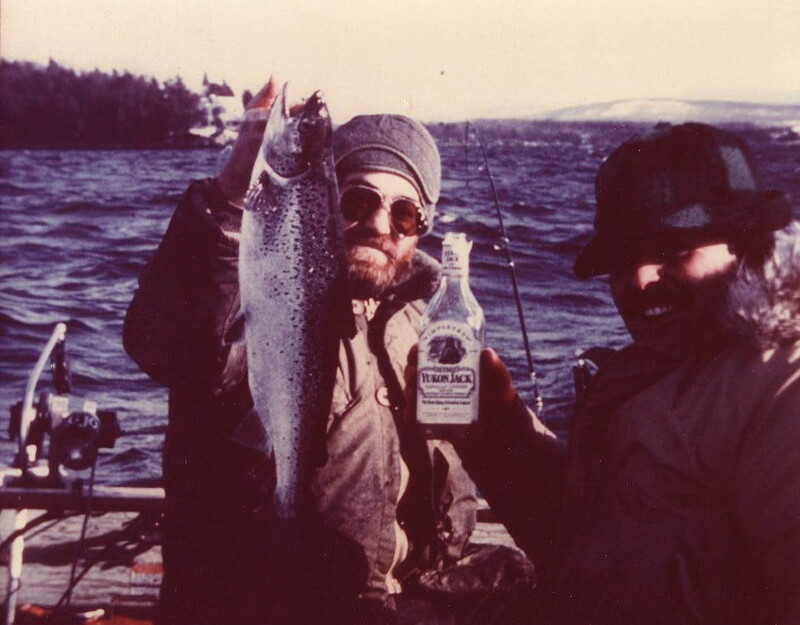 Later years Bill Bryden joined the fun when we shoveled out Shelburne Beach and slid a boat over the ice and fished in front there . Bill had on a fish that I said was a laker and he claimed he was hung up on bottom and the line broke. Next week Herb and I were there and I hooked a big laker, got it up beside the boat and ther was Bill's line and lure hanging out. Got the lure and released the fish. Dropped by Billy's office tossed the lure and line on his desk and said "I told you it was a Laker"
couple other blasts from the past. 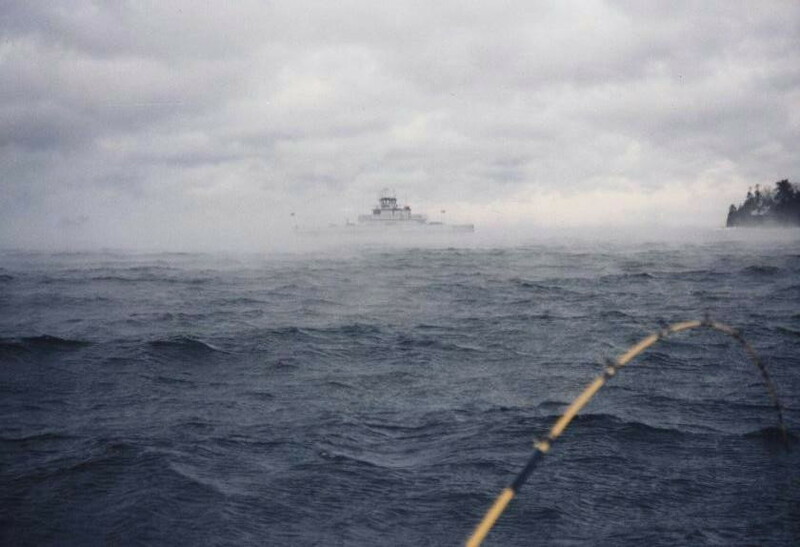 typical day on my first boat. Cool stuff right there, thanks Randy! 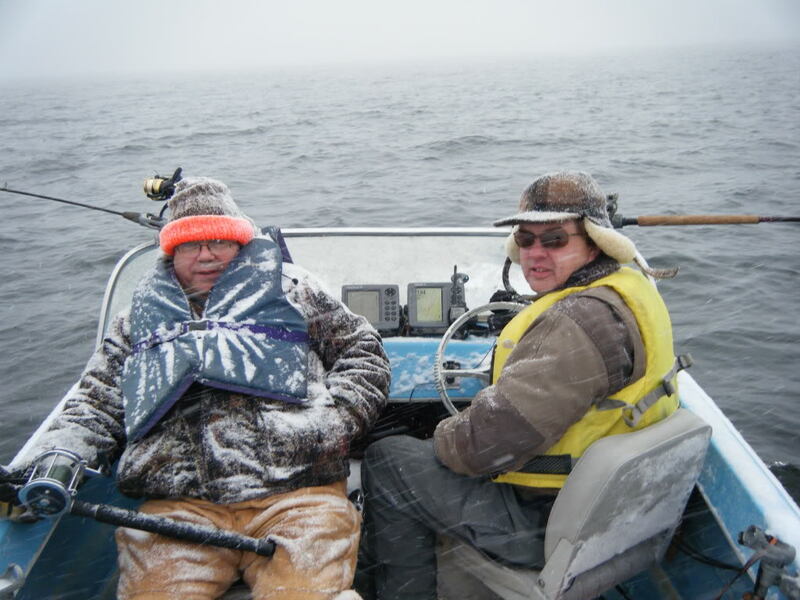 Oh Randy... that is an epic story.. that’s why I call you the Commidor of the frostbite fleet.... I’m not sliding Reelax across any ice jams, but we been on plane all the way to keelers on 1/8th inch of skim ice at 35knots... quite a loud racket... but it was a good bite! 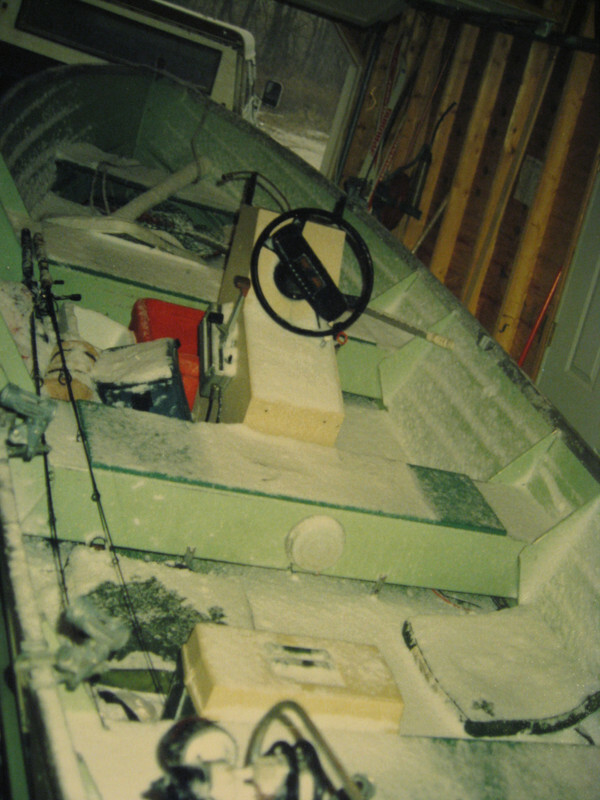 Here are a few frostbite pics from years past..
Great pics guys. You are real frostbiters. Told ya Randy was Mr Frostbite. Hauling the 12 footer over the ice!! !